Nokia’s 3310 phone has been relaunched nearly 17 years after its debut., If you were a fan of the 3310, the likelihood is you’ll want to pick this up. The Nokia 3310 is among the first hit by Nokia that almost be a no-brainer of a purchase back in the millenial age. Its low price, pleasing feature set, exchangeable cover and long battery life make it appealing for anyone looking for a back-up handset, festival phone or just a simple retro buy. The revamped version will be sold under licence by the Finnish start-up HMD Global, which also unveiled several Nokia-branded Android smartphones. 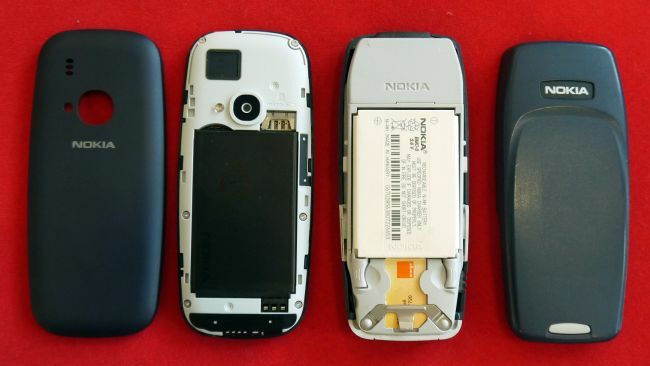 Nokia’s stuck with its feature phone operating system, with the new 3310 running Nokia Series 30+. The new Nokia still runs with the oldie Symbian OS which gives you a number of menu options with classics like Call Logs, Contacts and Messages joined by a calendar, a basic Opera web browser and a camera application. The new Nokia 3310 has a 2.4-inch, 240 x 320 full color display which is bright, but hardly crisp. Of course you’re paying very little for the phone so it’s not an issue, but unfortunately the screen is not a touchable one. Further dissapointment continues as the new Nokia 3310 is only 2.5G compatible. That means no 3G or 4G data speeds, resulting in a very basic browsing experience. Zero Wi-Fi feature will also enforce you to be happy with Bluetooth though with a music player and a 3.5mm headphone jack which allows you to listen to any tracks you put on a microSD card and slide inside the handset. If any phone can sell itself on nostalgia alone, that phone is the Nokia 3310. Many consider the original handset iconic because of its popularity and sturdiness. More than 126 million were produced before it was phased out in 2005. One expert said it was a “fantastic way” to relaunch Nokia’s phone brand. 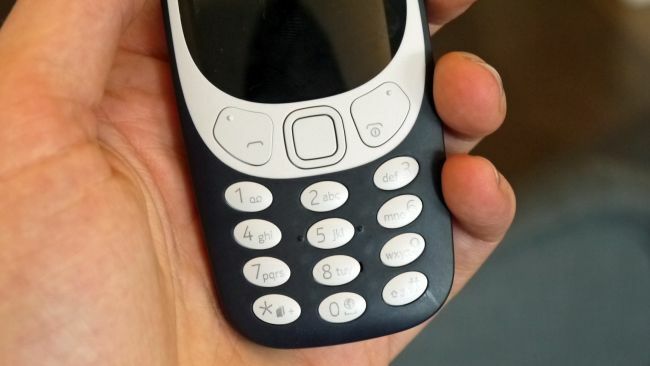 “The 3310 was the first mass-market mobile and there’s a massive amount of nostalgia and affection for it,” commented Ben Wood from the technology consultancy CCS Insight. There’s no firm new Nokia 3310 release date just yet, with the firm only confirming that it will be available sometime in Q2 (April-June). However, its advantage over more powerful handsets is its battery life. HMD says the colour-screened phone has up to a month’s standby time and delivers more than 22 hours of talk time. remembered for its near-indestructible build, long-lasting battery and legendary Snake (well Snake II if we’re being accurate) game, and the team licensing the Nokia phone name has jumped at the chance to reignite the love for a phone which was once the leader in the mobile market. The lack of effort from HMD who probably subcontract the manufacturing in the land of the middle kingdom is very dissapointing. 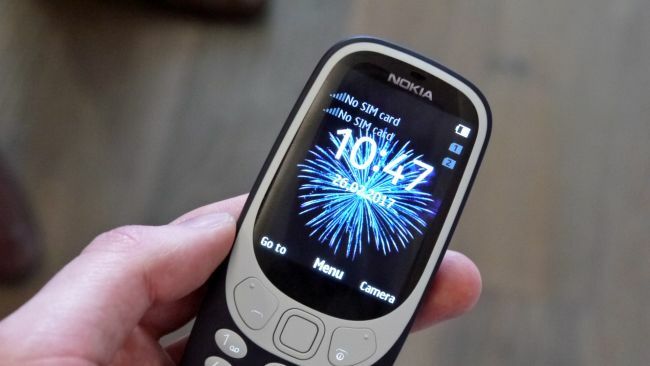 With the Nokia 3310 price tag has been set at €49 (around $40, £35, AU$55), placing it appeal to both Nokia fans and those who live in the woods or seaboating goers. Now the question is, will you spare your beloved bucks for a piece of fond nostalgic memories? can you bear a modern life with it? or perhaps, it will be a nice gifts nonetheless. Angklung instrument What is that?